A simple idea gracefully executed in the Larmes collection. Row upon row of Clear oversized teardrops, mounted onto an extended Polished Chrome lamp holder that supports xenon lamps, sets the stage. Individually adjustable drops for custom stagger effects allow for dramatic impact. An added benefit of each drop being aircraft cable-suspended, is the ability to adjust the overall height of the piece to fit the space. The final result is stark and stunning. 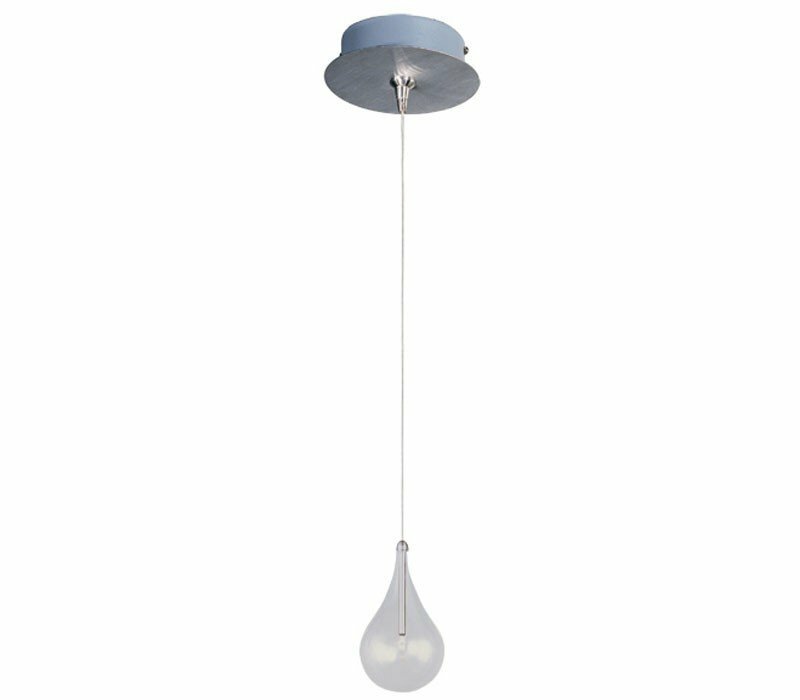 The ET2 E94510-18SN Minx collection Pendant Lighting in Satin Nickel uses Halogen light output and brings Modern style. The total wattage is 20 and the voltage is 12 volts. The ET2 E94510-18SN requires 1 bulb (included). Additional Information: Shade-Clear Glass.